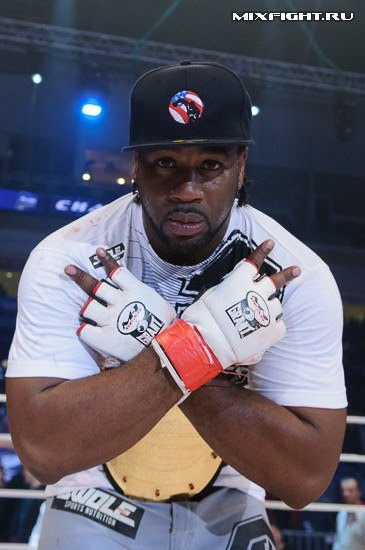 ST. PETERSBURG, Russia (Jan. 13, 2015) – Former M-1 Challenge heavyweight champion Kenny “Deuce” Garner will take on powerful Chechen prospectAslambek “Titan” Musaev in the initial fight announced by M-1 Global for its 2015 season-opening event, M-1 Challenge 55, on Saturday night, February 21, in Tbilisi, Georgia. 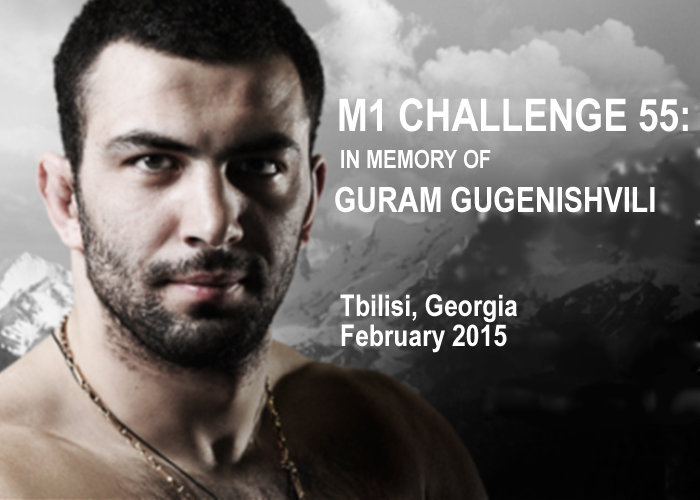 M-1 Challenge 55: Guram Gugenishvili Memorial Show will be streamed live in high definition on www.M1Global.TV. Viewers will be able to watch the preliminary fights and main card by logging on to register at www.M1Global.TV. Fans may watch all of the action on their computers, as well as on Andriod and Apple smart phones and tablets. In 2013, Musaev (5-1-0, 1 KO/TKO, 2 SUB) won the WAMMA tournament final, defeating Rasul Islamov. 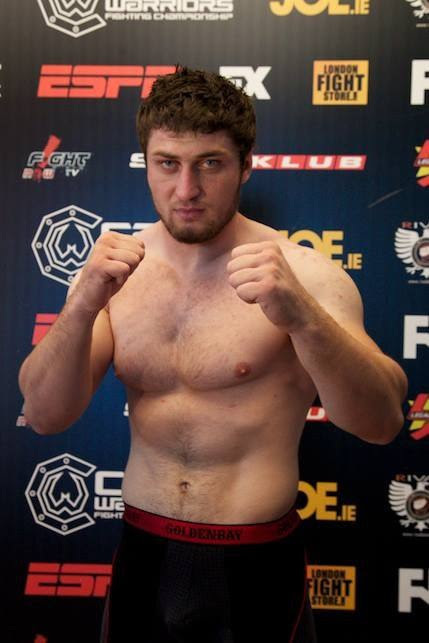 The powerful Chechen also holds the Guinness Book worldrecord for weight lifting with only one arm (right),making him a dual-threat as a dangerous striker as well as for applying strong holds. ABOUT M-1 GLOBAL: Founded in 1997, M-1 Global has established itself in the realm of Mixed Martial Arts (MMA) as the premiere entity for discovering and developing the world’s next-generation of superstar fighters. With offices in St Petersburg, Amsterdam and Los Angeles and affiliates in Seoul, Tokyo and Paris, the M-1 brand has staged more than 150 events worldwide, including the M-1 Selection, M-1 Challenge and M-1 Global and M-1 Global HWGP events, in addition to co-promoting Strikeforce events and M-1 Global on the Showtime network in the United States. Captivating live, television and broadband audiences with its superior production values and matchups, M-1 Global events have featured some of the sport’s top names, including Fedor Emelianenko, Andrei Arlovski, Aleksander Emelianenko, Gegard Mousasi, Alistair Overeem, Keith Jardine, Ben Rothwell, Melvin Manhoef, Roman Zentsov, Yushin Okami, Mike Pyle, Denis Kang, Martin Kampmann, Amar Suloev, Chalid Arrab and Stephan Struve. 2014 promises to be another sensational year of world-class competition with a full calendar of Challenge events fueled by a talent-rich contention system ranking M-1 Global’s Champions amongst the greatest in the sport. M-1 Global’s greatest asset is renowned heavyweight fighter, Fedor Emelianenko. ABOUT M-1GLOBAL.TV: Enjoy MMA action now in high definition brought to you by M-1Global.tv, offering only the best fights from M-1 Global and other MMA organizations. 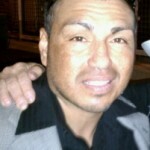 M-1Global.tv is a great platform developed specifically to bring together the most exhaustive fight video database. It also provides an easy and intuitive interface, helping everyone to start using the platform in no time while avoiding any spoilers. Besides watching the past fights on demand at any time convenient to the customer, viewers are able to enjoy the action LIVE, all available to M-1Global.tv users through a low-priced month to month digital subscription.Your world of action. Anytime! In everything you will ever approach you will reach a point it is easier to walk away than it is to continue.